Alright, so Miss Emily would like pie at her wedding. I'm excited because we can get super creative with this one. One of her favorite shows is Pushing Daisies and the color of the set decoration and costumes is very rich. Plus it takes place in a pie shop - two for two! Still working out the details but here are few ideas. A pie bar - complete with full size pies, mini pies, and pie pops. 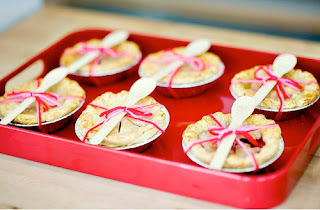 Or we could do individualized pies, depending on the number of people who will be attending (I need numbers Em :). Let me know your thoughts! 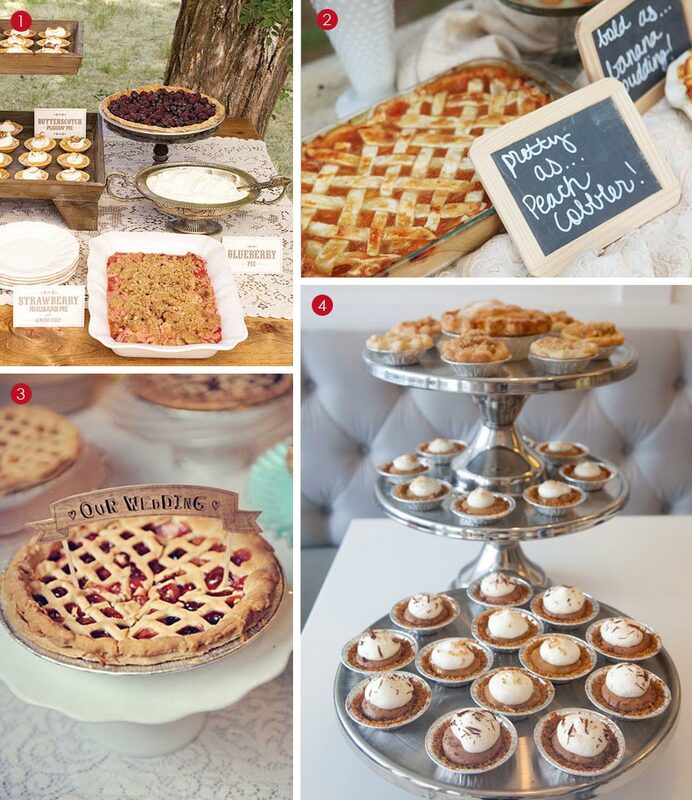 So delicious wedding pies!! 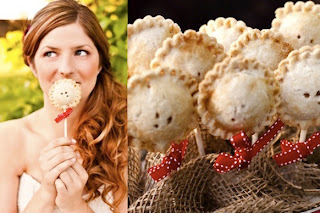 Really loved them and planning to have them in my wedding too. It will be arranged at one of Chicago venues. Will take my friend’s help who is an event planner. Want to make this big day fabulous.